Throughout Josh’s time as a Boston City Councilor, he has consistently fought for those who lack a voice in government. As chair of the Council’s Civil Rights committee, Josh has been a leader on issues of access, equality, and social justice. In the face of a hostile President and a hostile Congress, we need leaders who represent and exemplify the progressive values we cherish in Massachusetts. Josh began as an attorney at Greater Boston Legal Services where he represented those who were facing foreclosure. He continued this work as the former chair of the Housing and Community Development Committee on the City Council, where he led hearings to investigate serious health and safety concerns faced by Boston tenants and improved landlord accountability. 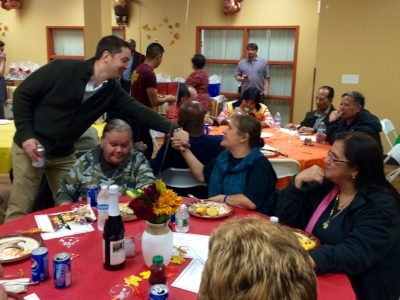 Josh also successfully introduced legislation that extended protections to tenants whose homes are converted to condominiums and increased financial protections for the elderly, disabled, and low-income tenants. 45 years after Roe v. Wade, our country now faces an existential crisis when it comes to protecting the reproductive rights of women. With the long-term composition of the Supreme Court poised to turn hard to the right, the door may soon be open for states to outlaw a woman’s right to choose. Shockingly, even in Massachusetts we have seen past legislative attempts to amend the state constitution to do just that. In this toxic national political climate, Massachusetts must demand that our government is filled at every level with leaders who will steadfastly protect women’s reproductive rights, and who will draw a red line at any attempts to erode those rights. Josh is unequivocal in supporting a woman’s right to choose and will continue to be an unwavering advocate on this issue regardless of the office he holds. The stakes are simply too high to sit on the sidelines. The LGBTQ community of Massachusetts is vibrant and strong, and deserves a leader who will not only say the right things about inclusivity but also follow those words with real action. For years, Josh has led on issues of importance to the LGBTQ community, such as convening hearings to address the unique challenges faced by LGBTQ seniors in their efforts to find welcoming, affordable housing. Or fostering dialogue amongst Boston Public Schools, the Public Health Commission, and elected officials to tackle mental health and homelessness prevalence amongst LGBTQ youth of color. If re-elected Josh will continue to be an unwavering ally to the LGBTQ community. Josh has worked closely with immigrant communities and advocacy groups to build trust and cooperation between non-citizens and government. As the sponsor of the Boston Trust Act, the law that made Boston a Sanctuary City and prohibited the Boston Police Department from detaining residents based on immigration status, he continues his fight for immigration policies that ensure the immigrant community’s voice is being heard.